Come and find out about all the fun activities and how you can join in. 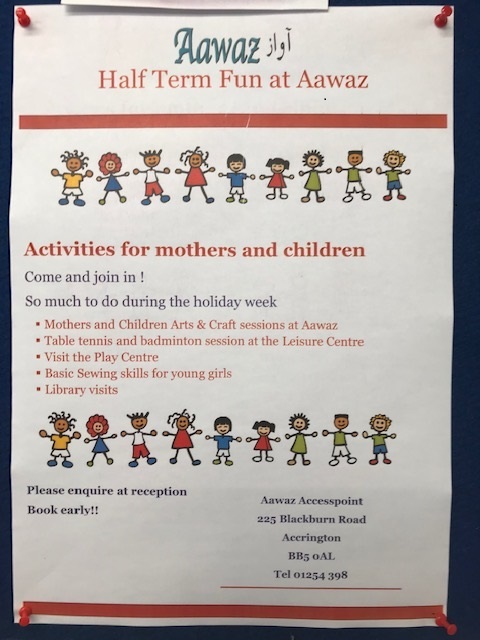 Half Term week is busy with lots of activities planned at Aawaz. Please enquire.